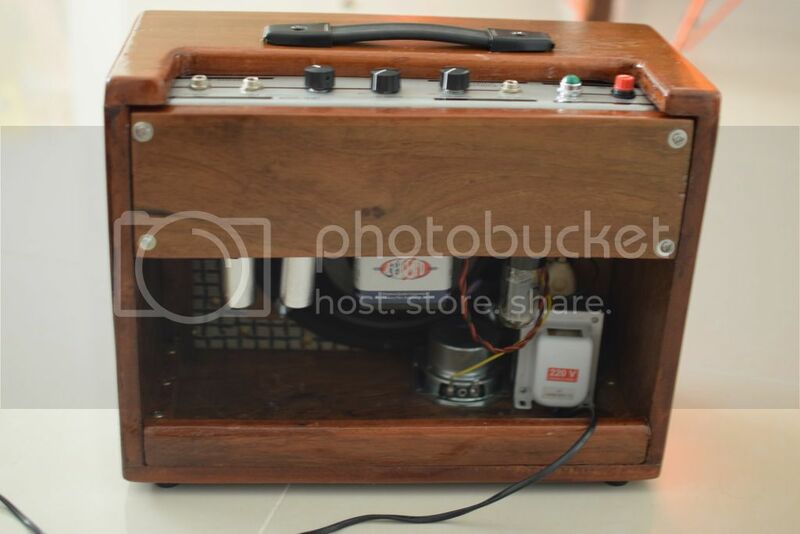 freestompboxes.org • View topic - Supro 1616t Layout with and without mods, build it! 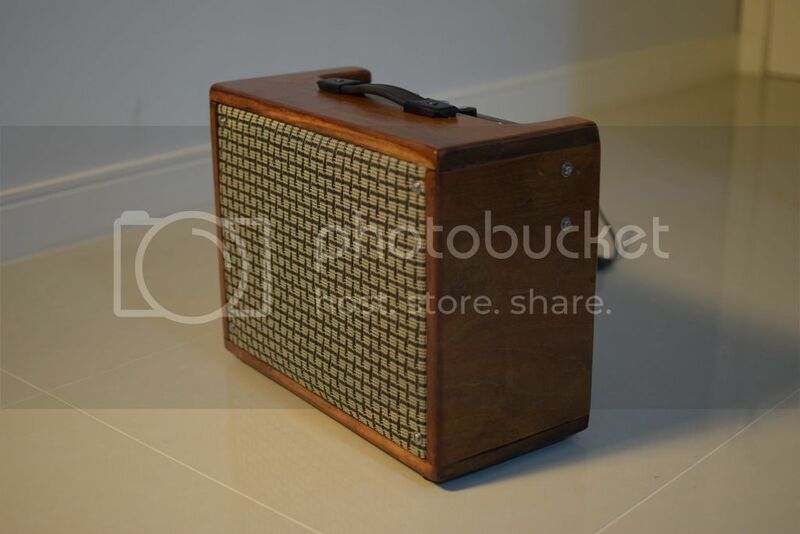 Supro 1616t Layout with and without mods, build it! This circuit sounds really good. Magnetic components has the transformers specific to this amp, but you would probably want to build it with a multitap SE OT as the stock Supro OT has a 3.2 ohm secondary. 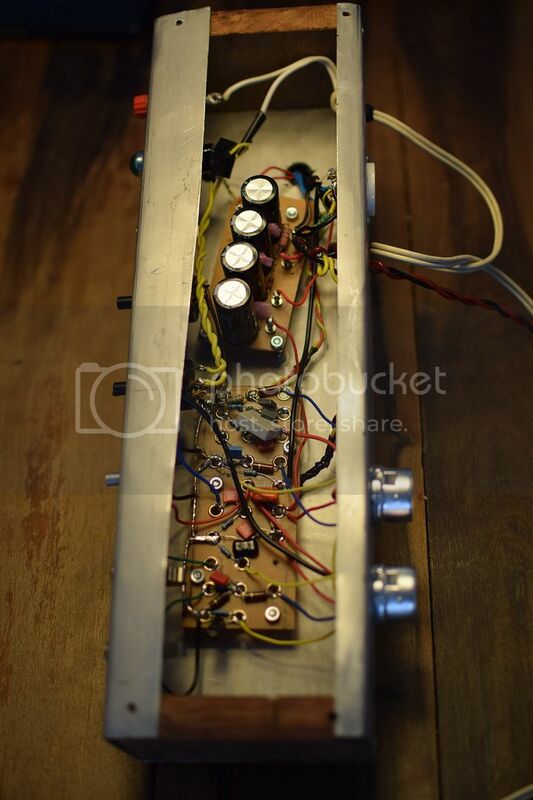 Re: Supro 1616t Layout with and without mods, build it! In comparing the two layouts, it appears that your mods added an Intensity pot, a cathode bypass cap for the second stage, and a cathode bypass cap for the power tube. Did I miss anything? You got it! Not alot you have to do to make this amp play nice with bigger speakers, with an 8" the bottom end is not an issue but with 10's and 12's it got pretty flubby. 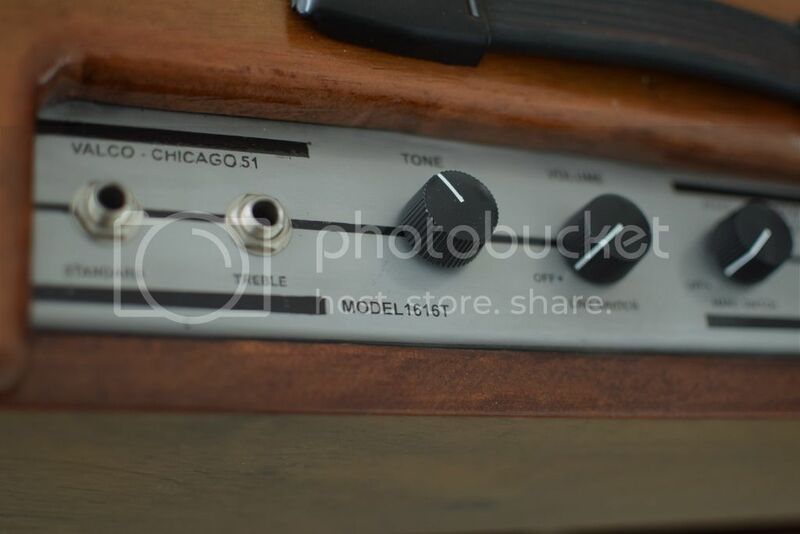 The intensity control makes the tremolo a little more versatile, and is borrowed directly from a S6424. 2nd stage cathode bypass is there for a little more stripping of the lows and some additional grind. Cathode bypass on the 6V6 can be from 500uF-2000uF Zaphod_Phils "big cap trick" to stiffen the amp up a bit. 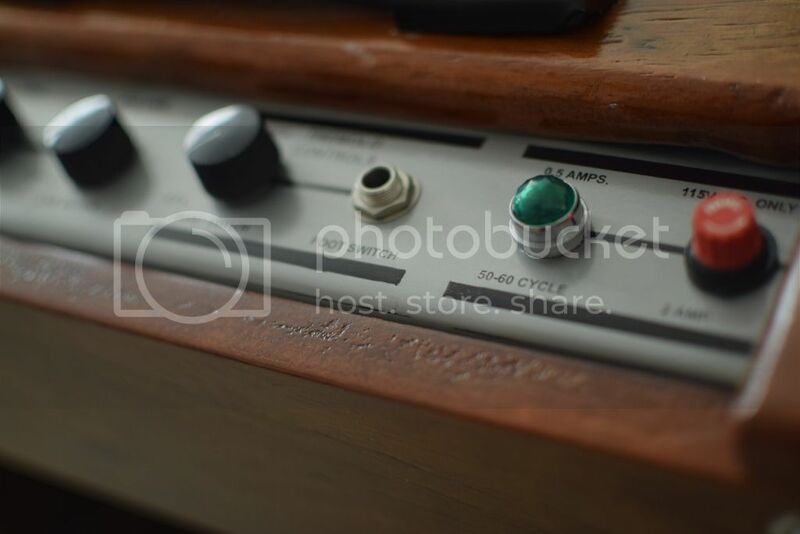 I really like the place where the amp sits, still greasy like a Supro, but with a bit of Marshall grind. Mine came from ebay as just a chassis with terminal strips hacked, missing, and mangled and the caps in the cap can were kaput. I rebuilt to stock schematicwith a turretboard and then started making mods with the guidance of Rock_Mumbles and Zaphod_Phil at Wattkins/Sewatt/18watt.com. I have some youtube videos. The audio quality is so-so, I used my panasonic Lumix stills camera to take the videos. All these clips were made to demo the tone of selling wah pedals I have sold on ebay, but it gives a good idea of the tone of the amp as there are brief pedal-less parts and also parts with delay, phase, distortion, and mucho wah. timbo_93631 wrote: I have some youtube videos. The audio quality is so-so, I used my panasonic Lumix stills camera to take the videos. All these clips were made to demo the tone of selling wah pedals I have sold on ebay, but it gives a good idea of the tone of the amp as there are brief pedal-less parts and also parts with delay, phase, distortion, and mucho wah. Yeah, if you are looking for cleans this guy is probably not the best way to go. It is cathode biased and doesn't have negative feedback, distorts before it is turned halfway up. I can roll off the guitar volume for cleans, but I really like it to sit just on the edge of breakup where it sounds really warm. If I really dig in it distorts, playing softly there isn't so much breakup. I always mic it live. If I were to try and compete with big amps onstage it would be difficult to cut through the mix. It is only 4-5 watts at best. If you want real cleans at stage volume it would be best to do something with a pair of 6L6's in push pull and NFB, Fender Twin etc... 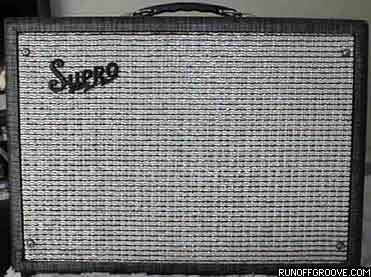 If you built this Supro with a 6L6 or an EL-34 and a 15 watt SE output transformer you should be able to get a little more headroom and still keep it simple. when it vibrates the sound cuts out, when you turn the pot it moves what cables and it works again. Check for loose solder joints. or it's a loose resistor to ground, probably in the signal line, when you move the pot back it discharges. I had a similar problem with an amp build, and it happened because I forgot that resistor to ground, it played until the coupling capacitor charged, something like 3 to 5 seconds and after that it stopped. 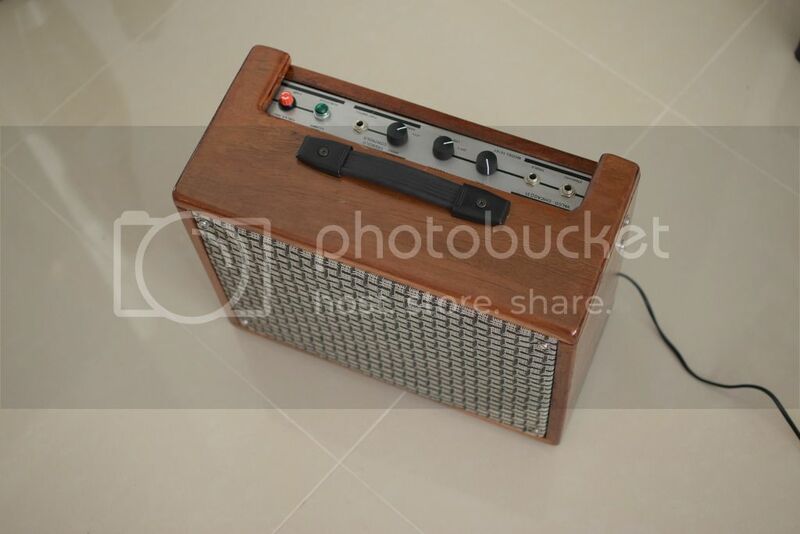 Maybe it just needs a new pot, if this amp is old, you also need to change the capacitors, as they are probably out of specs. In the schematic the tone control is floating in plate voltage. I'm always a bit cautious when introducing high voltage to pots. One solution would be to move the control after the coupling cap but would that introduce a variable high pass filter in the signal path? 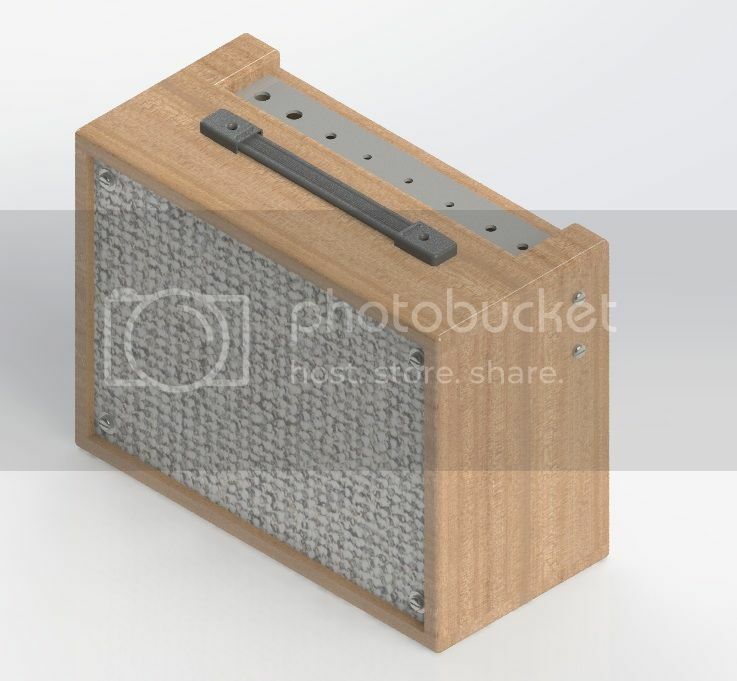 Are any other (simple) ways to make this thing safer without affecting the sound? finished my supro clone yesterday! Thanks for the layout by the way, it was really helpful!